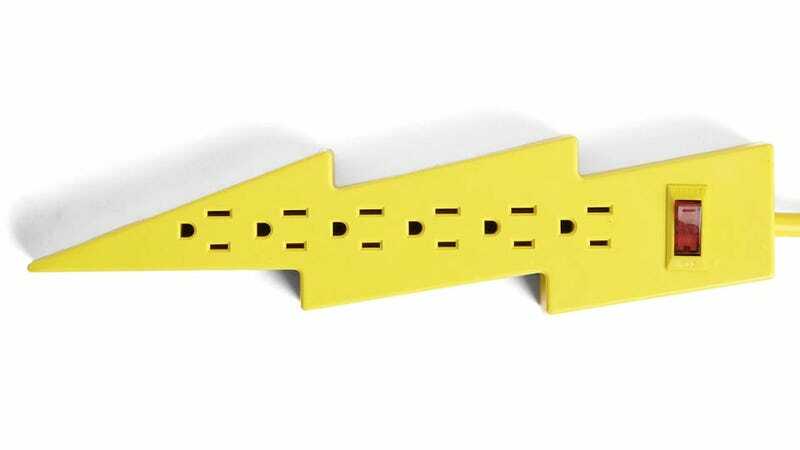 Serving as a constant reminder that electricity isn't something to be trifled with, this six outlet power bar is shaped like a lightning bolt so you hopefully won't ever overload it and risk getting shocked. Believe it or not it's actually not a marketing tie-in with Harry Potter, Usain Bolt, or The Flash. It's just a $20 novelty office accessory that's bright and easy to find under your desk. Oh, and just a touch adorable.